AdepT wrote: I've seen this earlier. What were his parents thinking? Maybe they weren't good parents. Good game. Was good to see Bayern overcome the early pressure to pull of another victory. Will have to say the two injuries Nurnberg had in the first half hurt them. I don't see why teams would ever try to win against Bayern in the league? Even their best effort would turn into a loss. If i was coach of Nurnberg or teams in similar position ( You could say that to most all other teams in the table too ) in the table i would protect my best players when playing Bayern. Better to save your best against teams your going to have a chance of getting points off of. True! Thank goodness that none of our players have reported injury and a Lahm goal is a real icing on the cake. So one of their "tactics" is to let the pitch deteriorate to disrupt our passing game and to cause a probable injury to our players? The very fact that it has instead did not prevent their inevitable loss and further caused their best player to be out for 6 months, and another for 3 months is just their just reward. KARMA! Still wish that they will just get relegated at the end of the season, it's long overdue too. 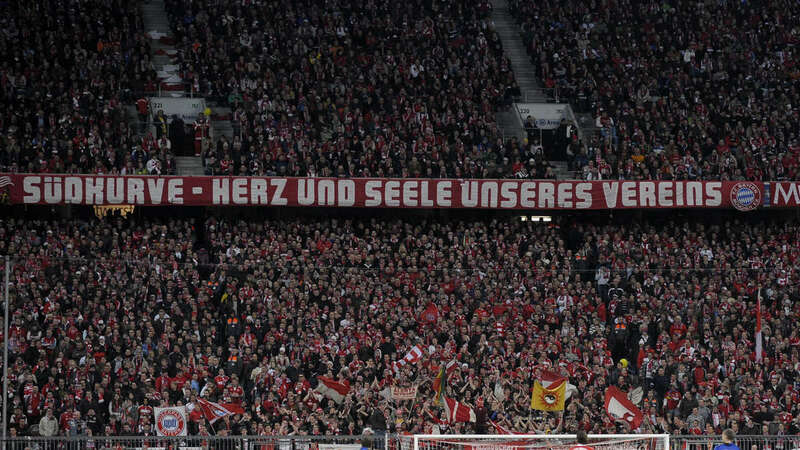 I enjoyed the Bayern match – I suppose I nearly always do. I can’t say that I appreciate Nurnberg, but I do think they were useful to Bayern. Bayern need to be tested, to keep them sharp for Champions League games, and the tests can come from the opposition in three or four forms: tactically challenging attacking or counterattacking football, park-the-bus tactics, huge workrate and very physical play. Nurnberg provides bits of all this – other than parking the bus. So it was a great test, which Bayern ultimately passed without suffering any injuries in the process. -	I am delighted about Mandzukic’s games since he was dropped; he has demonstrated that his on-the-ball skills aren’t bad at all, his goal and assist were superb, and he was my man of the match. -	Alcantara is becoming a great asset for Bayern. He was central to a lot of the game, and this time against a tough opposing midfield. Surely he’s heading for player-of-the-month – or , at least, he would get my vote for it if he continues to play like this. -	Goetze was good in the last third, and good at combining with others but, while I like him a lot, he seemed to be other players’ assistant rather than taking command of any part of the field. That isn’t necessarily a problem – just my observation of his developing role, now that he is playing more often in midfield. -	Rafinha has risen, in my estimation, to Bayern standard, in both attack and defence. Lahm is a better right back, of course, but I am not convinced that it is in Bayern’s interests to drop Rafinha and move Lahm back there. Lahm in the defensive midfield role and Rafinha as right back has rarely let us down or even looked vulnerable this season. -	I was glad Martinez got back. This was an opponent where we saw the value of Martinez fighting spirit. -	It was great to see Robben playing well and enjoying his football, even if he didn’t score this time. He seems to have found his role in Bayern and is at peace with himself and everything. -	Mueller seems to be above criticism in the eyes of some fans, but I feel that there are times when it has to be acknowledged that he didn’t do enough, and the Nurnberg game was one of those occasions. Overall, though, it was a valuable test, and quite enjoyable to watch. Badger wrote: -	It was great to see Robben playing well and enjoying his football, even if he didn’t score this time. He seems to have found his role in Bayern and is at peace with himself and everything. He was unlucky not to from that first half free kick though. ^ Add Muller to that as well. What did the banner say ? MaCk0y wrote: What did the banner say ? And now a Nuremberg fan is trying to sell part of the ripped banner on eBay. The bid has gone up to 451 euros so far! "Jor-El, what do you think about Superman?" "Honey, put the dam kid in the pod and get moving." "And what do I tell Batman? He's crying incessantly." "Remind him his parents died in a dark alley."